The Sony XDCA-FS7 Extension Unit attaches to the back of your PXW-FS7 via a MultiPin connector, adding additional I/O and enabling RAW data output for recording 12-bit 4K/2K RAW footage to compatible external recorders. The unit also features built-in Apple ProRes encoding for recording 1080p ProRes 422 video to an XQD card in the camera. 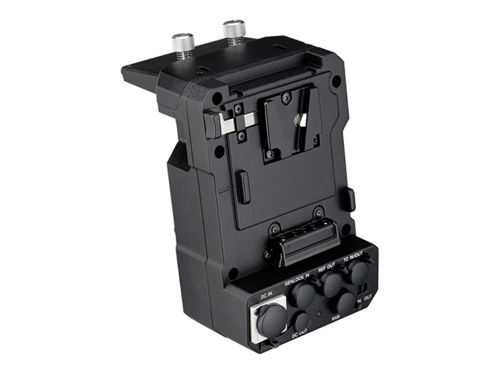 Additionally, the Extension Unit adds Timecode and Genlock connectors for multi-camera operation, as well as a V-Mount battery connector. A 4-pin XLR DC power input and 4-pin Hirose DC power output are also provided.